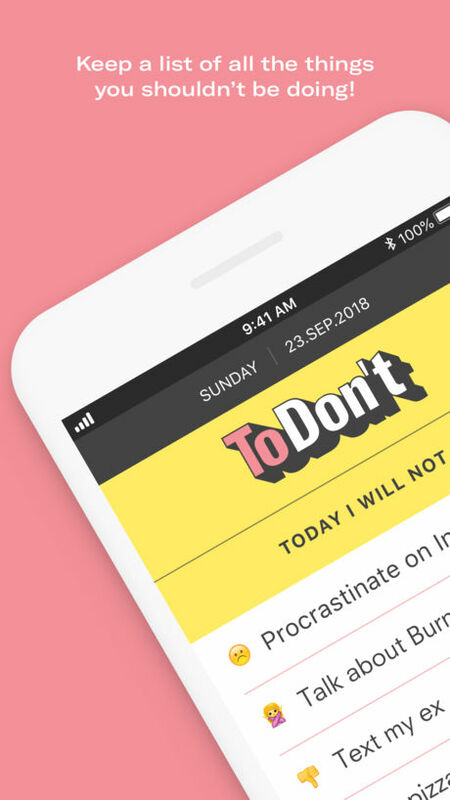 The to-do list app that helps you avoid the stuff you really shouldn’t be doing. The key to unlocking productivity isn’t doing tasks, it’s avoiding them. ToDon’t was Created to Make You Happier and Less Anxious. We didn't just want to be another productivity (or anti-productivity) app.